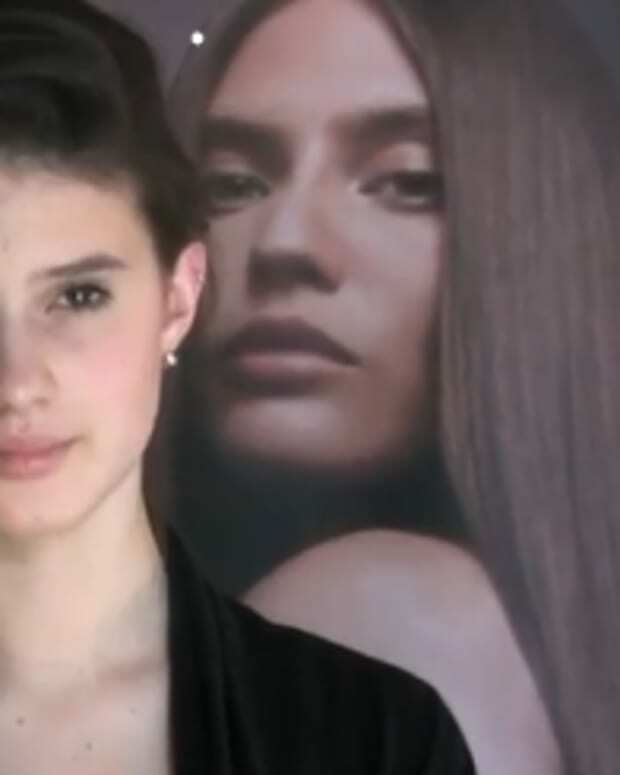 If your hair&apos;s ever been likened to a toilet brush, a how-to on achieving "model hair" might be of interest. (So would an Origins Rare Blend Tamer Instant Frizz Fix wand now that the John Frieda Full Repair Flyaway Tamer has been discontinued, but that&apos;s a bunch of other stories. *grin*) And here&apos;s good news: the distance between toilet-brush hair* and model hair isn&apos;t quite the long jump you might think. From these photos, you can see we don&apos;t mean Victoria&apos;s-Secret-model hair, nor shampoo-model hair. We mean the equivalent of no-makeup makeup. This is on-her-day-off model hair. 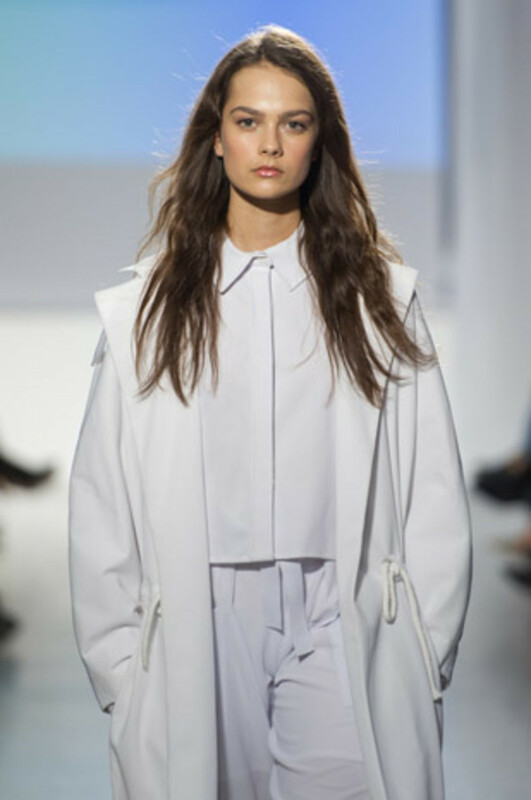 An effortless, loose tumbling swath, softly shiny and gently mussed, it was also the look for the Steven Tai Spring 2014 runway show at The shOws last week. 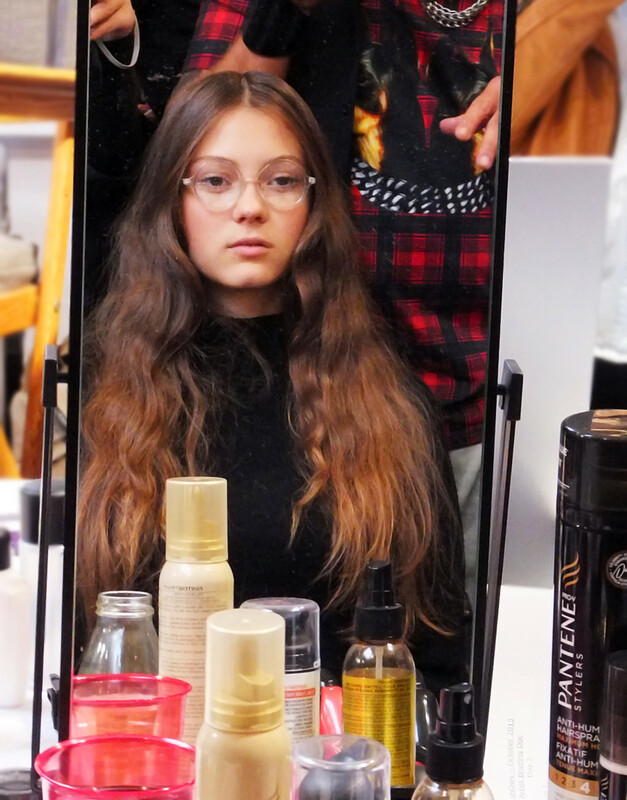 "Perfect model hair," according to lead stylist and Pantene pro Justin German, owner of Shagg Salon in Toronto&apos;s Yorkville area. 2. Divide hair into two (or three or four if you have thick hair), and braid each section loosely. 3. 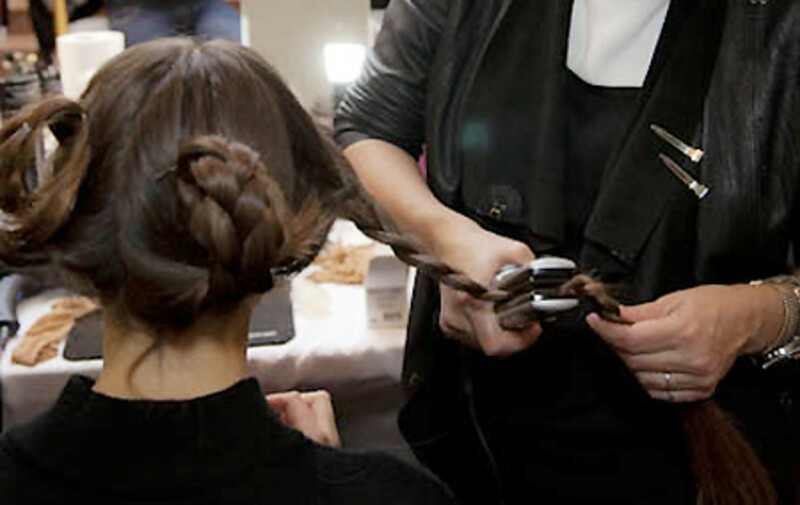 Clamp a hot flat iron over each braid, working slowly from the top to just above the tie to heat the hair. 4. 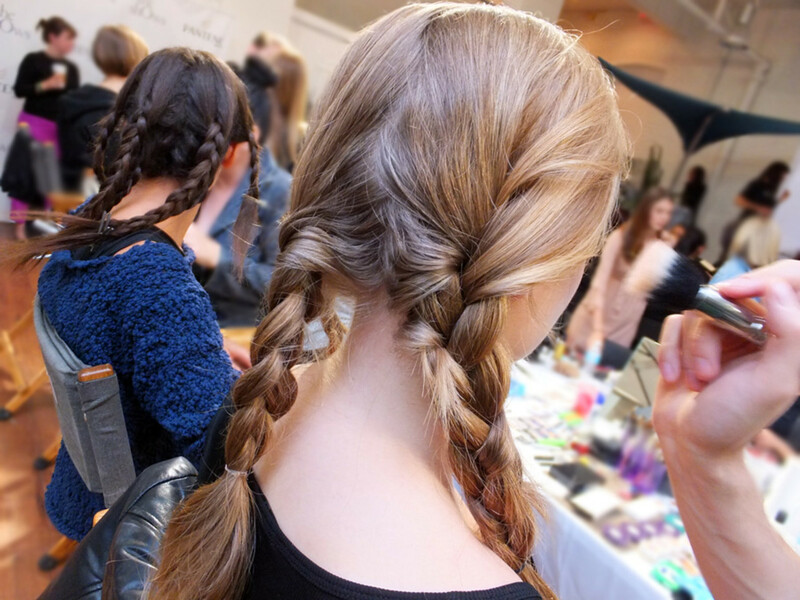 Once hair is cool, take the braids out and run your fingers through them. 5. Finish with a little Pantene Pro-V Stylers Texturizing Sculpting Wax ($8.99, drugstores) to smooth from the part to the tips of the ears. 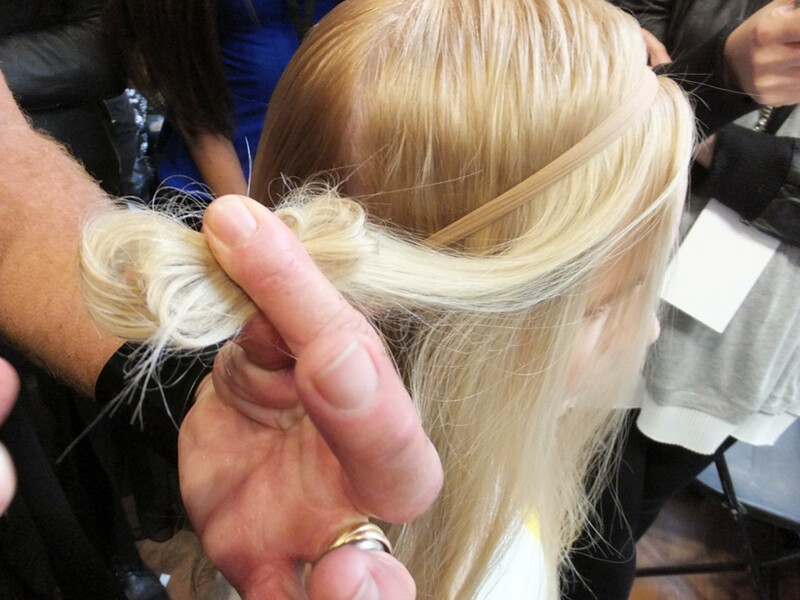 Here&apos;s another trick Justin planned to use next for the Jeremy Laing Spring 2014 show: gather a section of hair into a bow configuration, and clamp the bow with a flat iron. The result is a soft, unstructured wave that looks like you didn&apos;t try too hard. *A reader told me someone likened her frizz-stricken bun to a toilet brush -- poor girl. The Ojon Rare Blend Tamer Instant Frizz Fix is $27 at Murale and theshoppingchannel.com. Opening and braid + flat iron photos courtesy of Covergirl and Pantene. Runway photo via theshows.com.